There are pyramids, menhirs and dolmens across five continents. And even six if you add the Antarctic! They testify to the universality of a culture of large stones. To state the obvious: Civilization Pyramids had spread over all over the earth . Stones raised or stones erected, stones cut or polished, squared or rough, smooth or carved, they are the unexplained vestiges of a previous humanity, bigger and stronger than many understand and far from primitive, as many believe. In China, many pyramids are largely ignored by the public as archaeologists, as the Chinese authorities have declared them taboo. No excavation authorization is granted to Chinese archaeologists, a fortiori to foreigners. This is unfortunate because the rare photos that we possess monuments reveal quite impressive, as the White Xian Pyramid, a truncated pyramid that could be included on the list of Solomon’s throne. Also in China, new ancient civilizations are regularly discovered. Here, a stone arch which can bear the name dolmen. This sculpted dolmen is the emblem of the Hemudu culture. For centuries, we knew nothing of the Hemudu people whose civilization had lasted two to three thousand years . This culture was only discovered in 1973, 2800 m2 of remains exhumed in the first two excavations. These ruins have revealed the existence of a very ancient and unique culture. The Hemudu remains now cover an area of 40,000 m2 on four levels , which correspond to interconnected cultures. Excavation campaigns have unearthed nearly 8000 cultural objects . Many other very ancient relics attest to the presence of forgotten civilizations . But the Chinese authorities are jealous of their treasures. Then there are the Bosnian pyramids, which have been criticized by some archaeologists. Truth or fiction, the pyramids seem to be popping up everywhere and in the most unusual places, buried under the ice, buried under the jungle, buried under forests, engulfed under the sea, or simply hidden by vegetation. And believe me, this is just the beginning. Archaeologists have just discovered a new one, this time in Indonesia. It would be higher than that of Cheops. Known as the Garut Pyramid, Mount Sadahurip in western Java has attracted the attention of archaeologists only recently. But open your eyes. There are pyramids all over the planet, there are also some near you. A regular geometric mountain has very little chance of being natural. The pyramid of Garut is currently being studied by archaeologists who will determine if it is artificial. First surprise: science leans in this direction! Using geo-electrical instruments to measure the resistance of the different geological layers, the researchers saw that this structure could not be a natural formation. A 3D survey of the local topography also supports the hypothesis of an artifact. According to the analysis in Carbon 14 , the area of land dates from 6000 AEC while the deeper soil is itself dated to 7500 BCE. When the archaeologists set to work, they found in the neighborhood a number of rocks covered with scriptures. Calculations show that this pyramid is larger than those of the Giza plateau , the height is estimated at least 200 m and was built around 10,000 BCE , roughly the same period as the site of Gobekli Tepe , Turkey , The oldest proof of civilization admitted to date. Two pyramidal structures were detected by sonar in the Bermuda Triangle . The information has presently not been confirmed. “These two pyramids had been originally discovered by Ray Brown, a naturopathic doctor, in 1968, by” accident “, it was Dr. Meyer Verlag who, thanks to a sonar, identified these two enormous pyramids – three times the size of the Pyramid of Cheops in Egypt – lying more than 2000 meters deep. It is strange that such pyramids have not already been identified and mapped by the international navigation services. Yet the discovery seems effective, and overwhelming. If confirmed, a lot of data on our past should go in the trash. In addition, the case of the Bermuda Triangle, if we could find a fantastic, but possible, explanation. Imagine that these pyramids are a sort of wave emitter. Now imagine that they are still working. Not without stopping, no, just once in awhile. With the result that we can only imagine. Three ancient pyramids have been discovered in Antarctica by a team of American and European scientists. Two pyramids are about 20 km inside , while the third is very close to the coast. 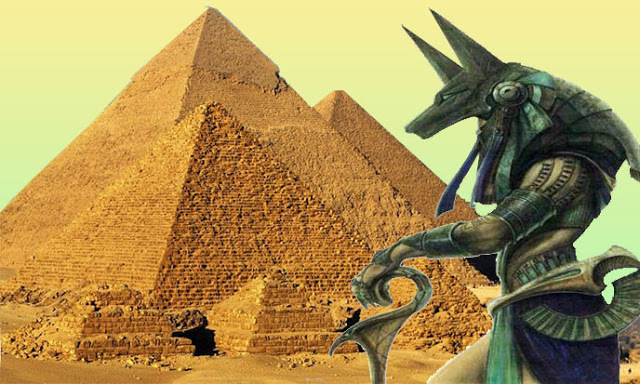 The first reports of the pyramids appeared in the Western press last year. Some photos were posted on the web suggesting that the strange structures would be proof that the continent of ice had to be once moderate enough to shelter a civilization. An aerial image taken through the ice of the South Pole appears to show two or maybe three in a similar training to the Giza Pyramids . But the pyramids are real. So far, little is known about the pyramids because the team continues to remain silent about the discovery. Only information provided by scientists: they plan a trip to the pyramids to continue the study and determine with certainty whether the structures are artificial or not. No details were provided on the date of this trip. If researchers succeed in proving that pyramids are artifacts, the discovery could lead to a drastic revision of the history of mankind. And children at school will learn another human story. Meanwhile, a series of pointed discoveries have been made recently in the Antarctic . In 2009, climatologists have found the palm tree pollen, which could mean that palm trees once grew in Antarctica, and the summer temperatures could have reached or exceed 21 ° C.
Three years later, in 2012, scientists at the Desert Research Institute in Nevada have identified thirty-two species of bacteria in water samples of a glacial lake in eastern Antarctica. So ? Let us say that the hypothesis of a sixth inhabited continent once more becomes more and more credible. As for that of a planetary civilization, which has built all around the globe large pyramids, dolmens and menhirs, no longer doubting. It is proven and the world will soon know. Wherever they are, the pyramids are the relics of a technology of enlightenment and possible alien contact. Where they stand, they remind us that the human race once had a Golden Age. Once lost in the mists of time, perhaps these new finds will yet inspire future generations with their hidden wonders…..